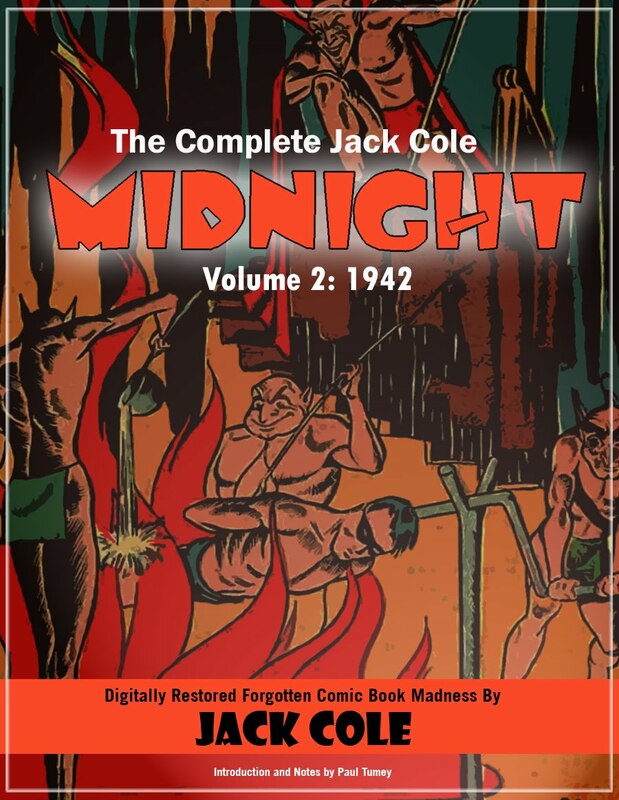 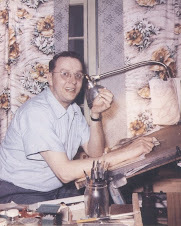 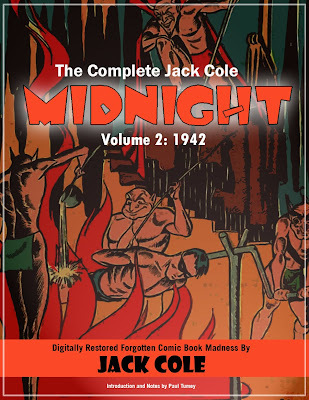 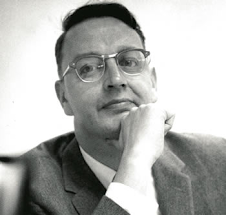 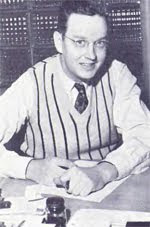 Jack Cole wrote and drew about 700 one-pages for Quality comics, mostly from about 1940 to 1945. 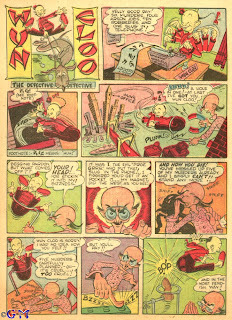 Some of these I've shared in this blog: Burp the Twerp, Dan Tootin, Windy Breeze, and Slap Happy Pappy. 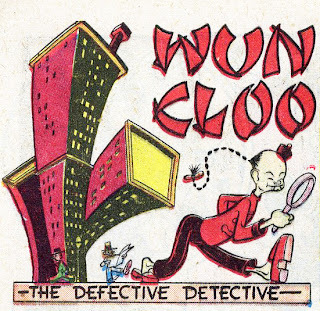 It's time we rolled out the last of Jack Cole's great one-pager series, Wun Cloo, The Defective Detective. 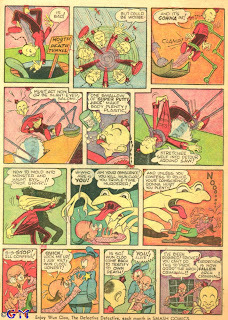 Cole did not create the character -- that dubious honor goes to Gill Fox, who also created Windy Breeze. 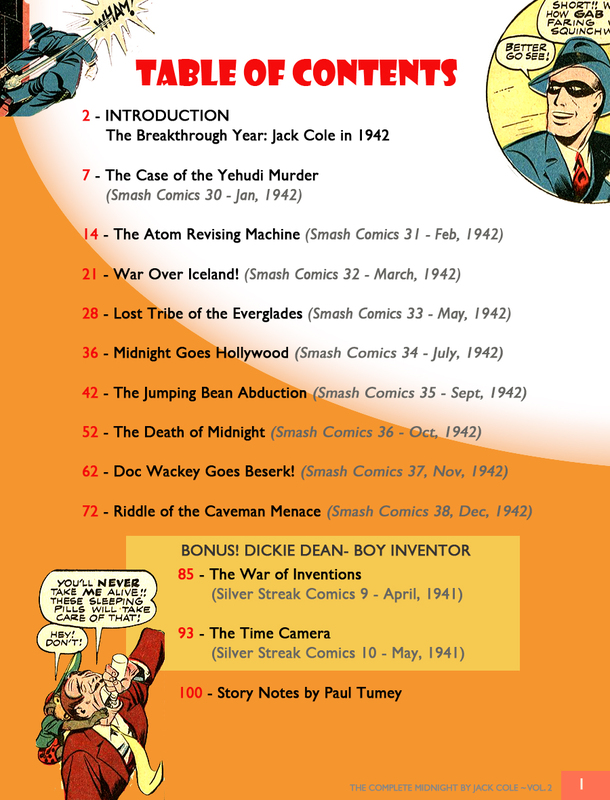 When Fox moved up through the ranks to become an editor at Quality, Cole took over many of his one pagers. The premise of the Wun Cloo one-pagers is to present a screwball (and unknowingly racist!) send-up of detective stories. It was likely inspired by the Charlie Chan and Mr. Moto books and movies featuring Asian detectives. 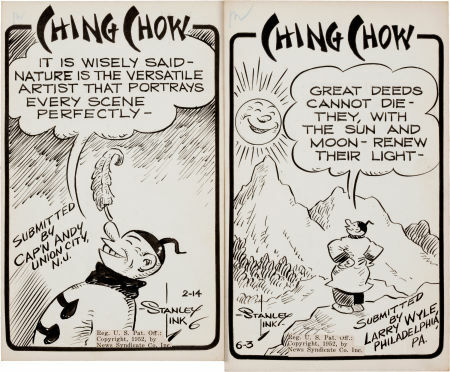 I have put off posting anything about Wun Cloo because, by today's standards, the comic is painfully disrespectful to people of Asian descent. 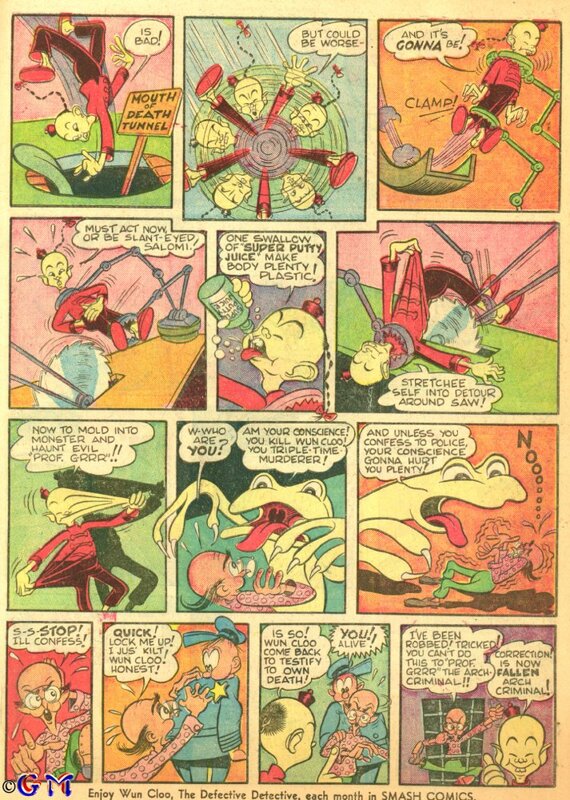 Fox and Cole don't even have the excuse that we were at war with Japan, since the character was created before Japan's attack on Pearl Harbor. 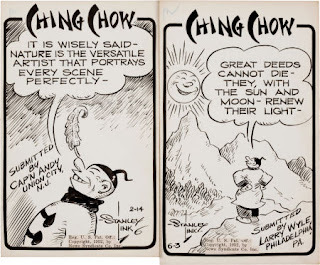 Amazingly, Ching Chow, which started in 1927, lasted until 1980! 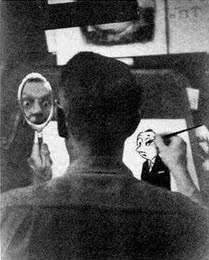 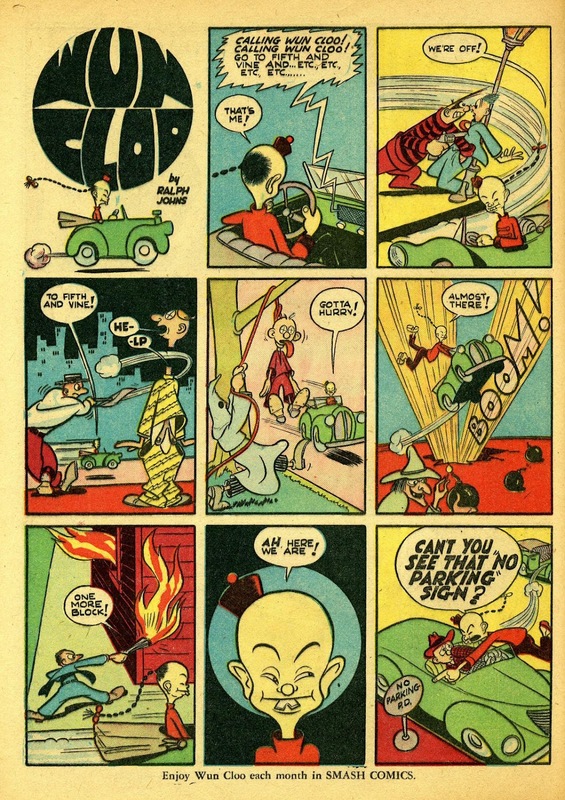 Nevertheless, some of the Wun Cloo pages are still of interest of to Cole fans -- if you can peel away the racism, there's some mighty fine screwball cartooning. 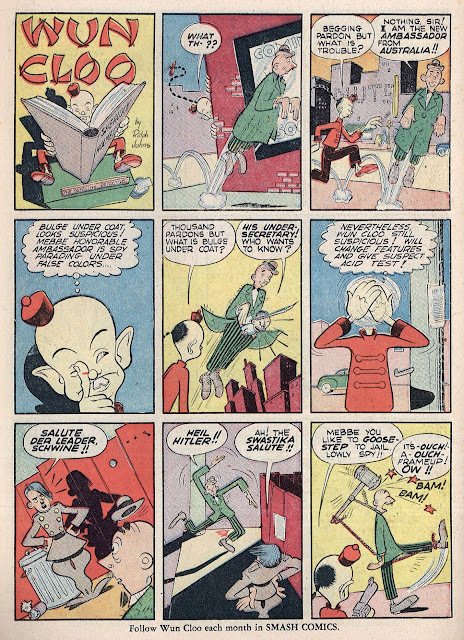 This is something that modern fans of American Golden (and earlier) comics and pop culture have become expert at -- looking past the outrageous racism in the works. 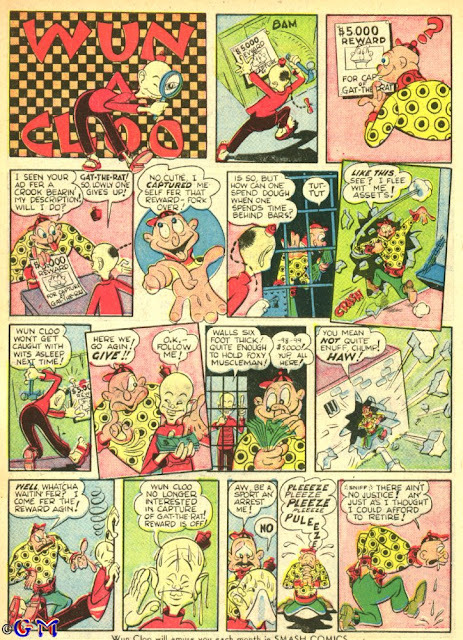 Plastic Man was also a humorous version of crime and detective stories, so Wun Cloo could be seen as a testing ground for what Cole later used in his Plas stories. That's all for now! More Wun Cloos to come at a later date! 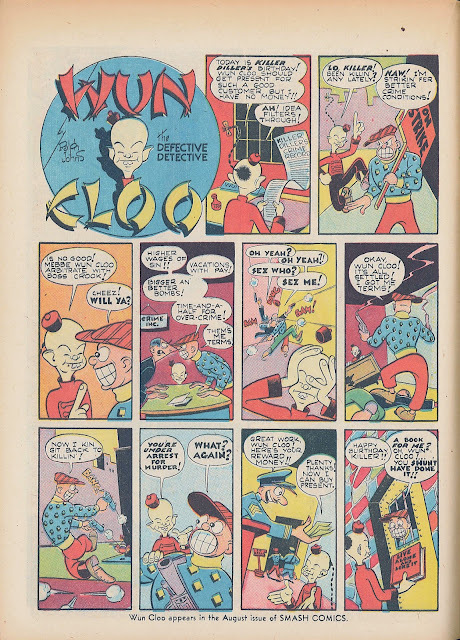 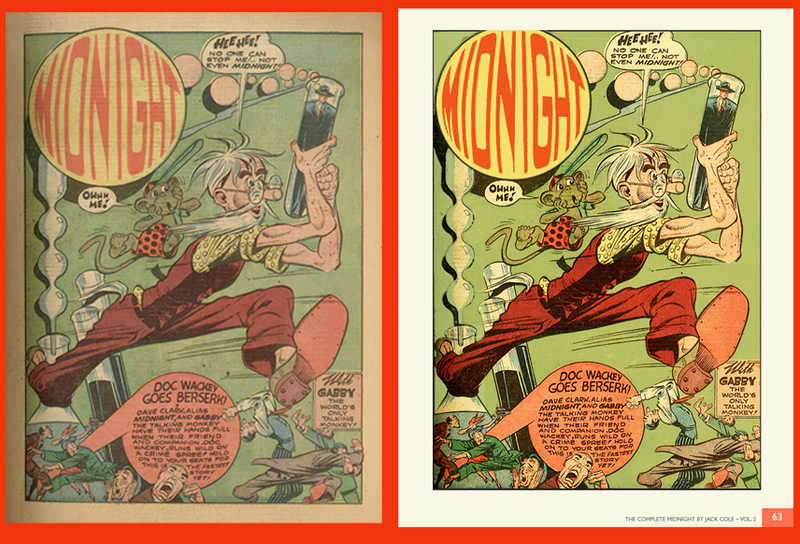 Thanks for reading and be sure to visit my NEW BLOG all about cool screwball comics, featuring original paper scans from my collection of Milt Gross, Rube Goldberg, The Squirrel Cage, Smokey Stover and more! This is the stuff that inspired Jack Cole. 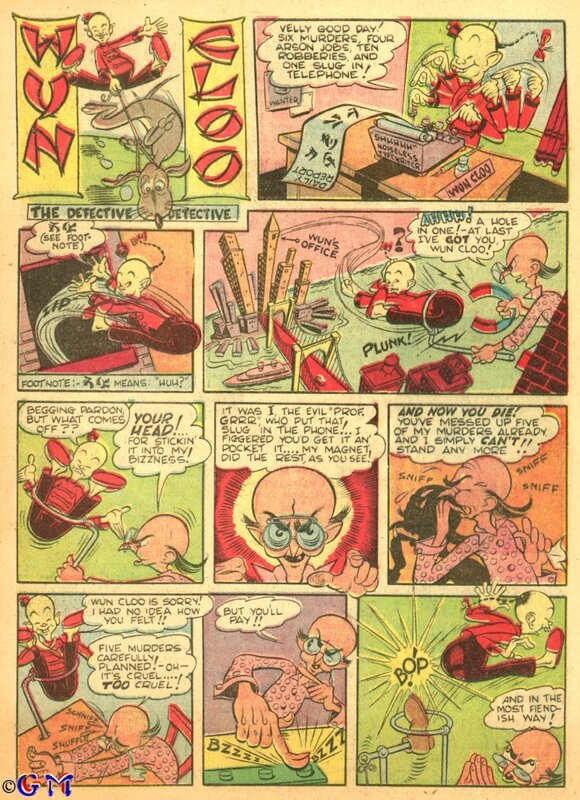 You can only find this stuff at The Masters of Screwball Comics!